No matter the season, on a dark clear night a full moon can be quite beautiful. It gives your surroundings a mystical and mysterious feel and can be appreciated by everyone around the globe. The full moon is usually celebrated around Halloween as witches and werewolves are imagined to respond strongest then, and showcased in necklaces, earrings, and more. Fortunately for this stunning celestial sphere, the full moon can be elegantly styled in jewelry year round. Check out these tips for styling full moon jewelry for any time of year. The full moon has been used as a symbol for hundreds of years, even before Halloween. The cycle from a new moon to a full moon is visualized by completely dark nights to nights not quite as bright as day. This cycle has been symbolized as birth, life and death. The full moon signifies the peak of perfection, love, purity and also desire. Native American tribes, Astrologers, Celtics and many other groups of people have been showing reverence for the moon and using the full moon in jewelry for centuries. The illuminating presence of a full moon has also been represented as time, fertility, emotion, transition and perception to just name a few. The moon has been used to symbolize animals like the wolf, owl and bat and it has symbolized people such as Artemis and the Virgin Mary. Even without the symbolism, the moon is a beautiful part of nature that can be worn and celebrated. It reflects the sun’s light to provide us with a natural way to see when everything else is dark. The full moon is a beacon to help travelers know which direction they are heading. It’s a night light for those who are scared of the bump in the night or weary travelers coming home late at night. To wear full moon jewelry year round, you will want to consider how you plan to fashionably style your jewelry. 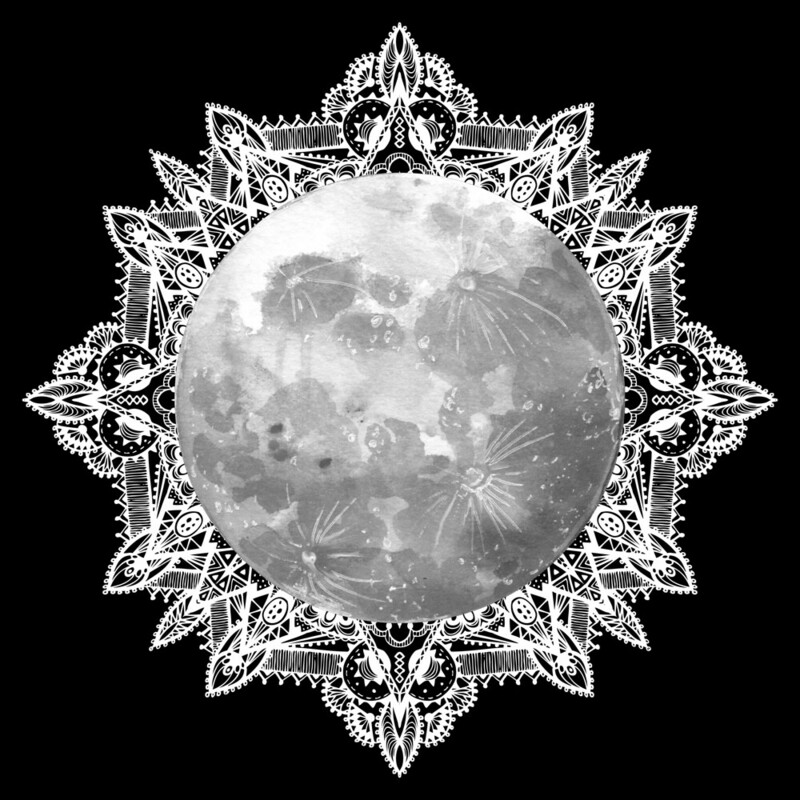 Think about where you are going, what you are wearing and what you look like in order to figure out which full moon jewelry you should wear and when you should wear it. Think about where you want to wear your full moon jewelry. For work, you probably want something more subdued. You might want to consider something neutrally colored or petite. If you are going somewhere fancy, you can use your jewelry to really make your outfit stand out. Wear a full moon pendant with gemstones around it or use your jewelry to give a neutral black dress a pop of color. For casual wear, you can be more playful and fun with your jewelry. In this case you may want to choose a set of full moon dangling earrings or bangle bracelet. If you are planning on wearing something plain, simple or neutrally colored, you want to use your full moon jewelry to make the outfit pop. Choose something larger, colorful or creative. If your outfit already has gems or sparkles, you want your full moon jewelry to be a bit more neutral. You may even want to skip a necklace and just use full moon earrings. You want to make sure that your jewelry is flattering to your specific body shape. If your face is long or oval shape, you want to use studs or shorter dangling full moon earrings. If your face is rounded, then longer dangling earrings look nice. If you have a more petite frame, then small dainty jewelry will look nice. If you have a larger frame, then you may want to consider chunkier full moon jewelry so that it will stand out more. Full moon jewelry is sometimes thought of as a gothic symbol only used around Halloween. It has been assigned many symbols throughout history that make the full moon a very versatile piece of jewelry. When styled correctly, the full moon is a beautiful reflection of nature that can be appreciated and worn as jewelry by anyone year round.